I can’t tell you guys what an awesome toy this is. 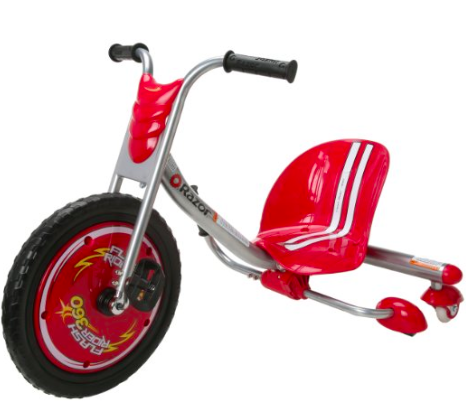 When the kids crank the wheel hard to turn, it sends the Flash Rider into a 360. They have had countless hours of fun on this and the neighborhood kids often come over when my boys are out on these. Everyone wants a turn! I can’t say enough about this great toy and it was very impressive looking to have two of these under our tree last year!